Etisalat Nigeria presents its best yet innovative product which ensures that you the customer can make the best of the Etisalat network. 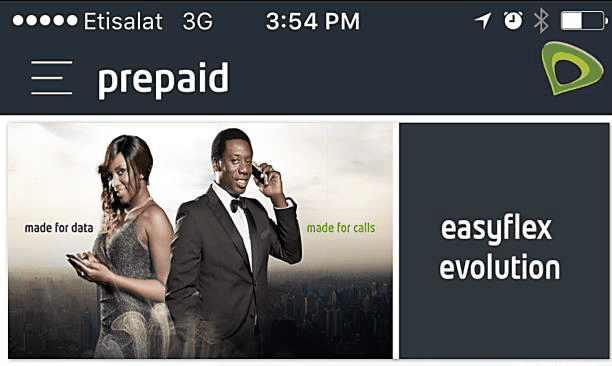 In its typical style of using innovation to simplify the lives of its consumers, Etisalat has rolled out the stylish, classy and easy to use EasyMobile App. 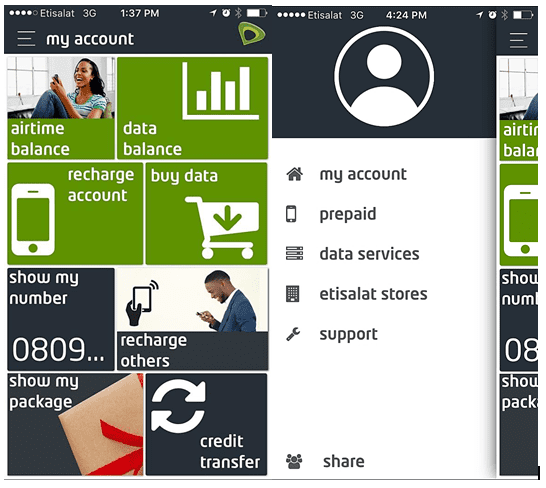 The EasyMobile App boasts of a simpler, easier and faster way of getting things done on the Etisalat network without the need to remember, text or dial codes to access services. This App can be personalised to reflect ownership and what’s more, the App is zero rated, which means you do not need data to use it – Wow! 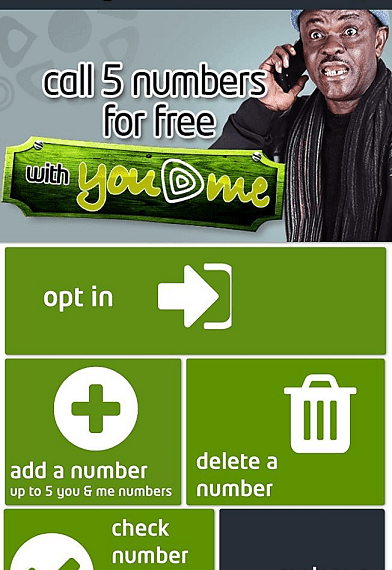 You can also purchase airtime directly from the app using your debit card and access instant live support. All these and more are contained in the EasyMobile App. What are you waiting for? 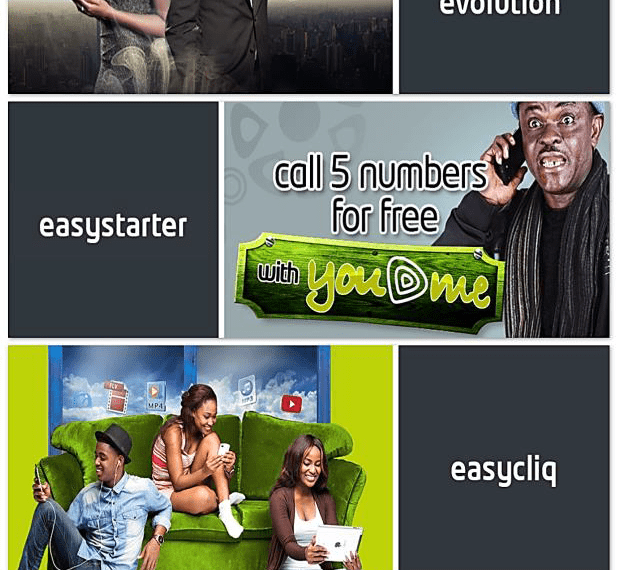 Get rid of those pesky codes and embrace the Easy life with Etisalat’s EasyMobile App. 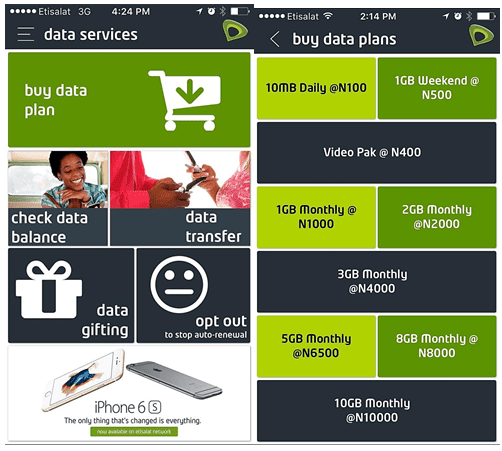 This screenshot shows where you can buy the various data plans available on the Etisalat network.